The pure sophistication of Monique Lhuillier design is clear in all the details of this stunning diamond ring. 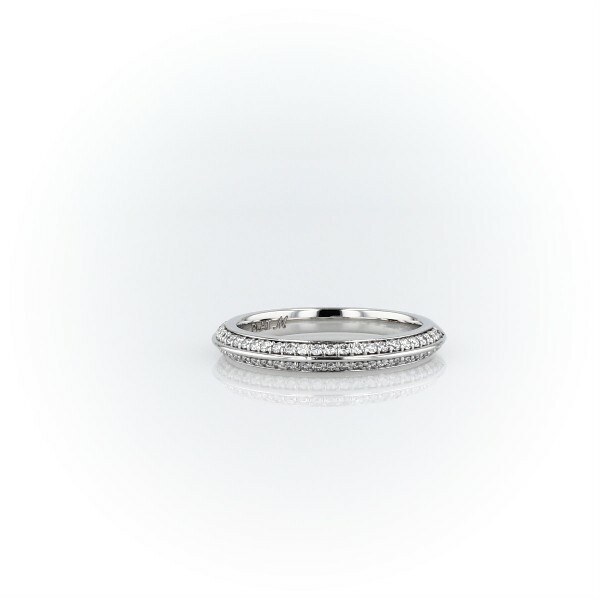 Crafted in enduring platinum, the sharp knife edge along the centre creates two rows to cover in dual brilliant arrays of gorgeous round cut diamonds. A perfect match with stock number 71565.